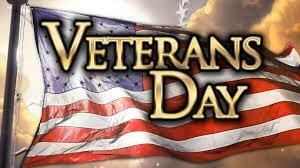 Dilley Elementary School is seeking pictures of Veterans to include in our Veterans Day celebration. Please bring by your picture to the front office to be scanned and returned to you. You may also e-mail the photo to Mr. Martinez at adam.martinez@dilleyisd.net. Please include the name of the Veteran, the military branch they served and the years of service. The Veterans Day celebration will be on November 10, 2017 at 2:00 P.M. in the Elementary Gym. All Veterans and community members are welcome to attend.